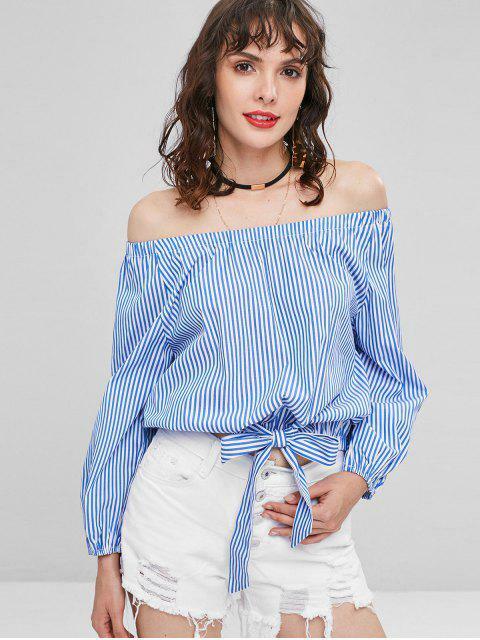 [59% OFF] 2019 Off Shoulder Stripes Blouse In BLUEBERRY BLUE | ZAFUL ..
A unique take on the classically striped style, this long-sleeved blouse is flirty with an elastic off-the-shoulder collarline and edgy with an elastic hem with a knotted accent, which feels feminine and easy-going, just like the days from summer to autumn. 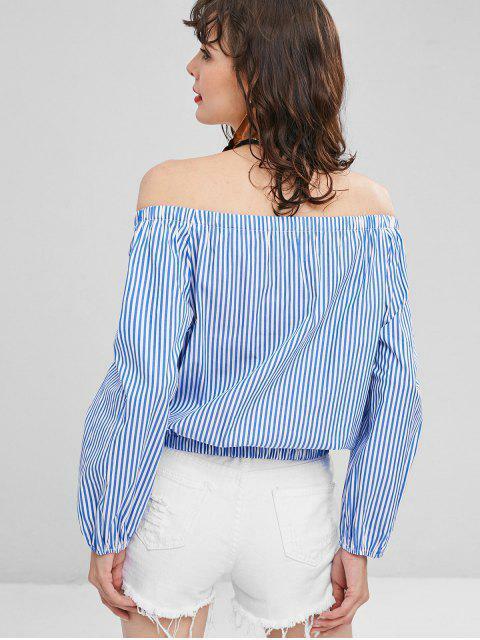 And this polished silhouette is perfect, which will pop all seasons long whether you pair it with jeans or skirts. 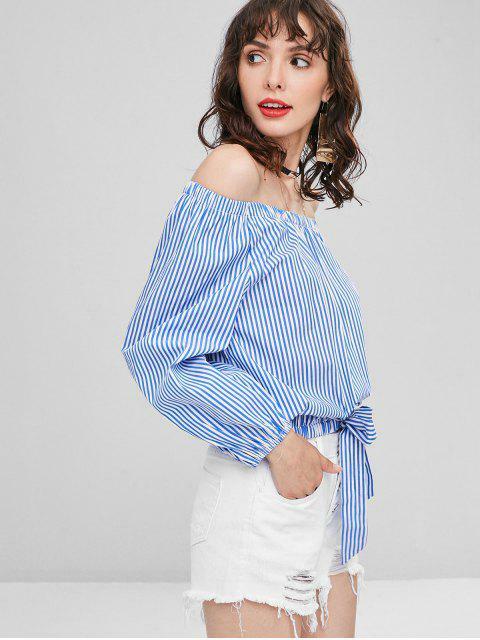 Elastic cuffs.